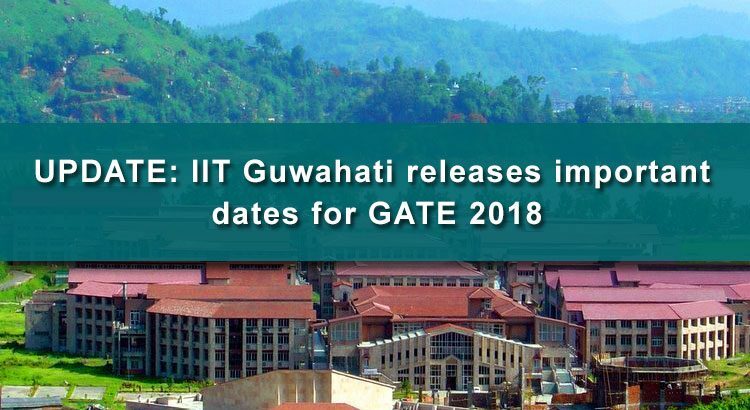 IIT Guwahati, the organising body of GATE 2018, has announced the dates for GATE 2018 exam. As per the official notification, the GATE 2018 online exams would be conducted on 03, 04 and 10, 11 February, 2018 (Saturdays and Sundays). Online application for GATE 2018 through official GATE 2018 website starts from 01 September, 2017 and ends on 05 October, 2017. Last date for request for change in the choice of examination centre via GATE Online Application Processing System (GOAPS) login is 17 November, 2017. The Admit Cards would be made available for printing on GOAPS on 05 January, 2018. The results of GATE 2018 exam would be announced on GOAPS on 17 March, 2018. The GATE 2018 score will be valid for three years from the date of announcement of results. The GATE 2018 score can be used by candidates for PSU recruitment and getting admissions in reputed IITs and NITs for post-graduation programs. The GATE 2018 examinations will be conducted in selected cities and towns in India as well as in Addis Ababa (Ethiopia), Colombo (Sri Lanka), Dhaka (Bangladesh), Dubai (UAE), Kathmandu (Nepal), and Singapore. All the interested candidates who need to apply for GATE 2018 online can do so through any of the following GATE zonal websites. IISc Bangalore ( www.gate.iisc.ac.in ), IIT Bombay (www.gate.iitb.ac.in), IIT Delhi (www.gate.iitd.ac.in), IIT Guwahati (www.gate.iitg.ac.in), IIT Kanpur (www.gate.iitk.ac.in), IIT Kharagpur (www.gate.iitkgp.ac.in), IIT Madras (www.gate.iitm.ac.in), and IIT Roorkee (www.iitr.ac.in/g). • Bachelor’s degree holders in Engineering/Technology (4 years after 10+2 or 3 years after B.Sc./Diploma in Engineering/ Technology) and those who are in the final year of such programs. • Bachelor’s degree holders in Architecture (Five years course) and those who are in the final year of such programs. • Bachelor’s degree holders of Four-year program in Science (B.S.) and those who are in the final year of such programs. • Master’s degree holders in any branch of Science/ Mathematics/ Statistics/Computer Applications or equivalent and those who are in the final year of such programs. • Holders of Four-year Integrated Master’s degree (Post B.Sc.) in Engineering/Technology and those who are in the second or higher year of such programs. • Holders of Five-year Integrated Master’s degree or Dual Degree in Engineering/Technology and those who are in the fourth or higher year of such programs. • Holders of Five-year integrated M.Sc. or Five-year integrated B.Sc./M.Sc. degree and those who are in the final year of such programs. 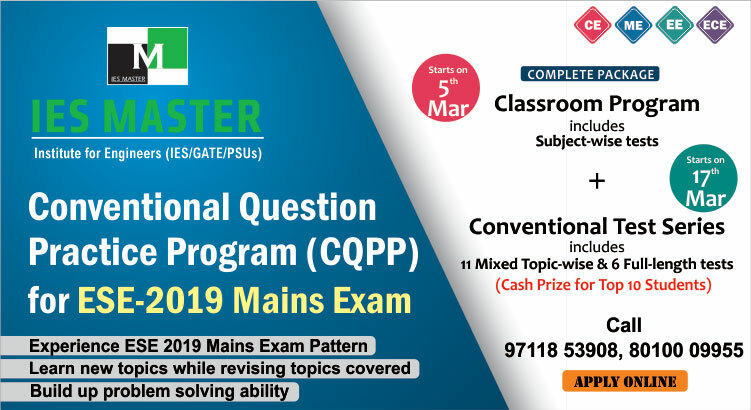 • Candidates with qualifications obtained through examinations conducted by professional societies recognized by UPSC/AICTE/MHRD as equivalent to B.E./B.Tech. Those who have completed Section A of AMIE or equivalent of such professional courses are also eligible.